In this episode, Overground hosts Joe Runge, Tyler Scherr and Charlie Litton, discuss creatine ethyl ester, an actual thing, actually begin sold in stores as Con-Cret. The crew brings in their first-ever guest, UNeMed president and CEO Michael Dixon, Ph.D., who tells the story of Vireo Systems, and their fight to keep fraudulent (and potentially unsafe) knock-offs out of the market. 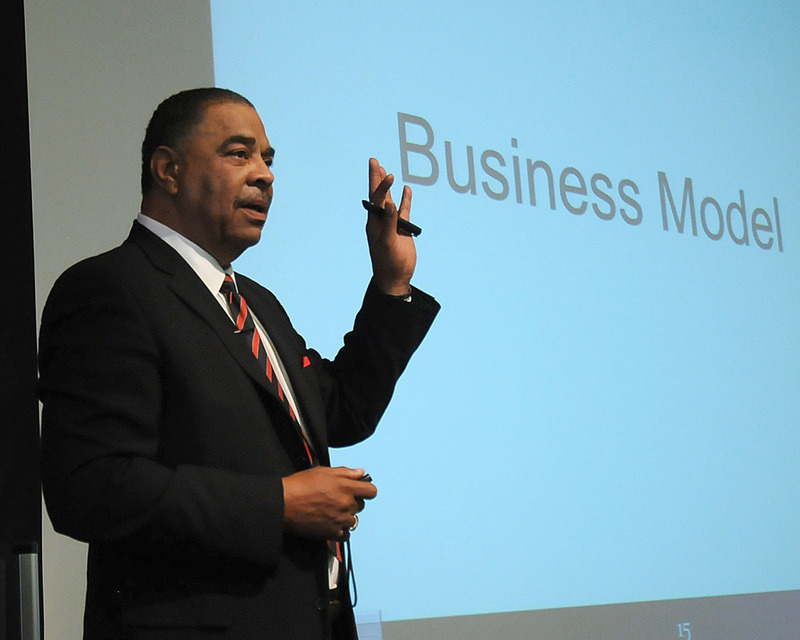 Ron Allen, Ph.D., during an Innovation Week event in 2014. Ron Allen was a statue of a man. Tall and broad shouldered, he had the resume of an international man of action: medical device executive, decorated veteran, Ph.D., scientist, engineer, football coach and referee, and internationally renowned expert on vital and life-saving technology. Ron was a living action figure; a man of imposing accomplishment. Ron Allen died earlier this year after a brief illness. His partners at Chrysalis Medical, a UNeMed licensee, gently informed me of his passing. Mixed in with the grief of losing a friend was a sense of bewilderment. Chrysalis’s remaining partners are all experienced professionals, yet, bringing a new medical device to market without Ron seems daunting. Even with all the data compiled and all the reports formatted, everyone just felt a little better about themselves and more confident in the difficult task with Ron in the same room. Ron brought out the best in people. It was his easy laugh. His complete lack of air or pretense. He was warm and genuine and so generous. Ron would make time to discuss regulatory strategies for new projects, often sending me notes and links after walking me through his thoughts on the phone. Ron loved to talk with graduate students and entrepreneurs, and would be visibly excited by even the most harebrained scheme or sketchy startup. Ron’s accomplishments, which could fill three full lives, were not just a bullet list on a resume. They were the results of a life lived in that generous and open state of mind. I am grateful to have met him and for all I learned about the FDA and design controls. I hope that his generosity and excitement will stay with me longest. In this episode, Overground hosts Joe Runge, Tyler Scherr and Charlie Litton, discuss the tricky area of authorship versus inventorship. The crew also talks about Litton’s beef with his brother’s boss. The episode also takes a closer look at WeChart a training program for hospital charting programs. Karen Linder chats with UNMC and UNO Chancellor Jeffrey Gold, M.D., and her husband, James Linder, M.D., the CEO at Nebraska Medicine, shortly before the 2018 Innovation Awards ceremony on Thursday, Oct. 25, 2018, at the Stanley Truhlsen Events Center at UNMC. Innovation Week remains the most well trafficked area at UNeMed.com, and it’s not even close. The event’s popularity is no surprise considering it’s an annual showcase for all of UNMC and UNO innovations and their inventive faculty, students and staff. (It follows, then, that the story announcing the major award winners was among the most popular news stories of 2018.) At the 2018 awards in October, UNeMed honored Catherine Gebhart, Ph.D., and Varun Kesharwani, Ph.D., as co-inventors of the Most Promising New Invention, and Centese won the first-ever Startup of the Year award—presented by the University’s incubator program, UNeTech. 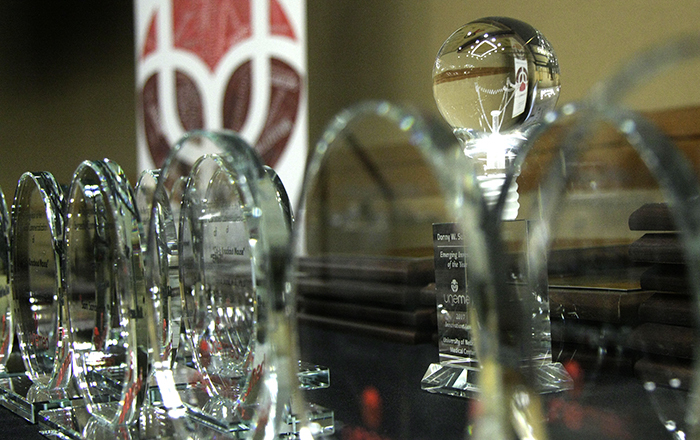 The top prize of Innovator of the Year went to UNO’s entire Biomechanics Department for their remarkable body of work. 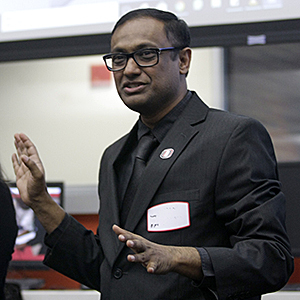 Sachin Pawaskar, leader of UNO’s IS&T Capstone program, addresses the gathering following his team’s WeChart presentation on June 1, 2018. UNeMed’s most popular blog post of 2018 touched on the growing collaborations between UNMC and UNO campuses. This post focused on UNO’s College of Information Science and Technology, but UNO’s innovative culture and deep involvement continued to grow in what became a recurring theme for 2018, as you will note below. In April, UNeMed produced a new feature, UNeMed’s product pipeline, which proved to be a popular landing spot, a pleasant surprise. The pipeline highlights selected technologies and where they fit in the development cycle, whether they’re a device still in the prototyping phase, a pharmaceutical entering Phase I clinical trials or a finished product currently available in the marketplace. UNMed negotiated a licensing deal that could bring to the market a solution to a continuing problem with modern electronic health records. The solution helps make cancer test results more accessible, making physicians and care providers more efficient with their diagnoses and treatments. 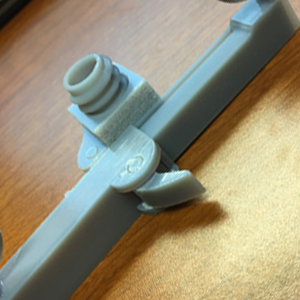 UNO’s biomechanics department made news again when one of its own was selected to pitch at a regional entrepreneur conference, Pipeline’s The Innovators on Jan. 25, 2019, in Omaha. 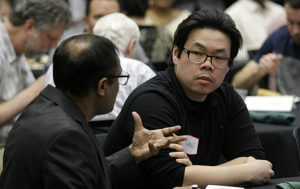 The first UNMC-UNO Innovation Accelerator Gathering was organized in part by the UNMC Department of Emergency Medicine’s Research Coordinator, Thang Nguyen (left). 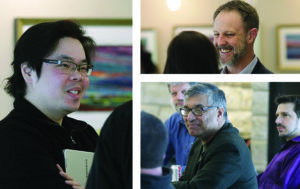 UNeMed’s Michael Dixon (upper right) and Deepak Khazanchi (lower right), Associate Dean of UNO’s College of Information Science and Technology, were also on hand. 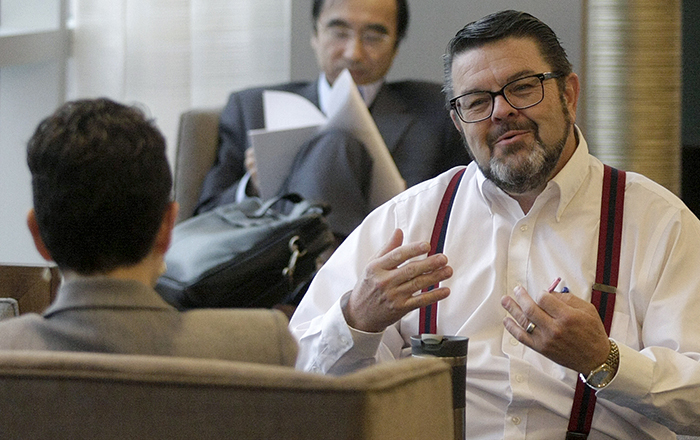 A small meet-and-greet between the UNMC College of Medicine’s Department of Emergency Medicine and UNO’s College of Information Science and Technology garnered a lot of attention back in February. This meeting was partly spurred by the success of collaboration found within the capstone program (see No. 2). Taconic, a provider of rodent models for researchers, signed a licensing agreement for the use of Easi-CRISPR, a genetic insertion protocol that could shave six months off of critical research project timelines. 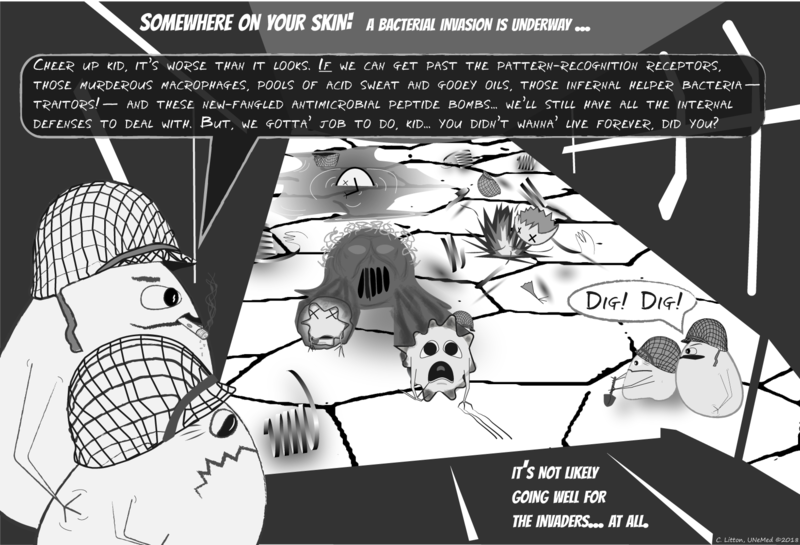 An interesting blog post—and fun infographic—noting the skin’s remarkable ability to ward off infections. In the summer, UNeMed staffers Joe Runge, Tyler Scherr and Charlie Litton launched their first tech transfer-related podcast as the Innovation Overground. By the end of the year, the trio had voiced nearly two dozen episodes and plan to continue airing new episodes in the foreseeable future. Finally, UNO again made headlines with UNeMed, thanks to this new services agreement. The arrangement made UNeMed the exclusive tech transfer office for UNO, which opened the door to a flood of new invention disclosures. If it had more time, this would surely climb higher on this list. UNeMed finished it’s revision of Demo Day, and pulled together the MidWest Drug Development Conference as a way to bring together most major Midwestern universities and their most promising drug-related innovations. 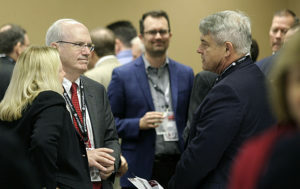 Industry and investment groups converged on Omaha for a two-day conference that blew the doors off all expectations. Planners are already busy planning a return in 2019, and expect to announce critical details in the early weeks of 2019. 4. Veins and arteries are just pipes, right? In this episode, Overground hosts Joe Runge, Tyler Scherr and Charlie Litton, discuss how technology transfer offices like UNeMed can pick the winners from the losers. The big secret (spoiler alert!) is that tech transfer offices don’t pick winning technologies: The market does. The crew also talk about some of the surprising results of selling inventions, even the ones that didn’t seem very marketable. The episode also featured a couple new inventions, including a hemodialysis catheter that could save patients thousands in addition to eliminating the risk associated with replacing clogged catheters. James Linder, M.D., then-President of the University Technology Development Corporation at the University of Nebraska, delivers the keynote address at UNeMed’s 11th annual Research Innovation Awards Banquet on Oct. 26, 2017. Dr. Linder is the current CEO at Nebraska Medicine, the former President and CEO of UNeMed, and also served as Interim President of the University in 2014. OMAHA, Nebraska (Dec. 12, 2018)—Former UNeMed President and CEO James Linder, M.D., is the first-ever winner of the Pipeline Legacy Award, Pipeline announced today. 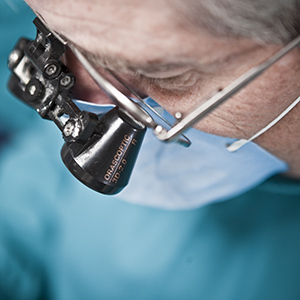 Dr. Linder is CEO at Nebraska Medicine, the former President and CEO of UNeMed, and served as Interim President of the University of Nebraska in 2014. “You’d be hard-pressed to find anyone in the Nebraska entrepreneurial community who hasn’t been helped by him,” Pipeline President and CEO Joni Cobb told Silicon Prairie News. Pipeline is a regional entrepreneurial organization where Dr. Linder has long served as a mentor to startups and entrepreneurs in the Midwest. 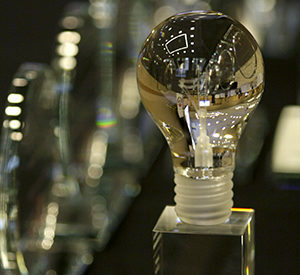 Dr. Linder will receive the award at Pipeline’s annual celebration, the Innovators. The Innovators is set for Jan. 25, 2019 at The Slowdown in Omaha. As CEO of Tethon 3D—an Omaha startup that prints ceramics—Karen Linder was part of Innovation Week 2016 when she served as a member of a three-person panel discussion about biomedical 3D printing. In addition to his mentoring work with Pipeline, Dr. Linder and his wife, Karen, founded Linseed Capital to support area startup companies. In 2007, Dr. Linder was CEO at UNeMed, and led an overhaul of the technology transfer structure at the University of Nebraska Medical Center. 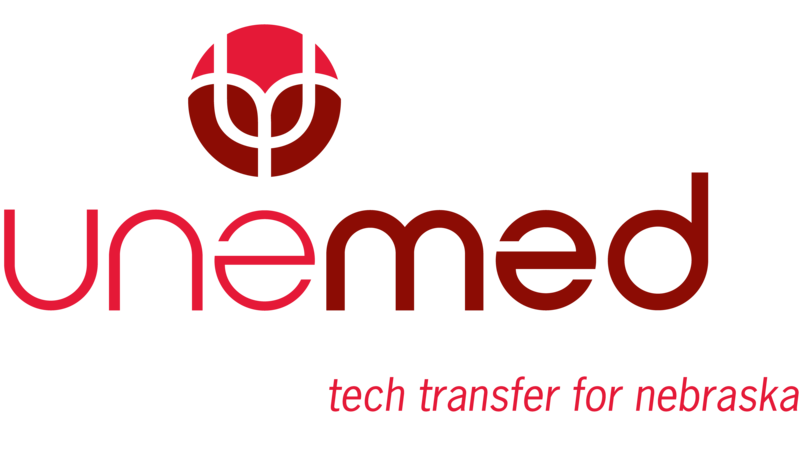 The overhaul merged the technology transfer office, UNeMed, with the Intellectual Property Office into a single entity. He also previously served the University of Nebraska as Chief Strategist and as the Director of the University Technology Development Corporation or UTDC. 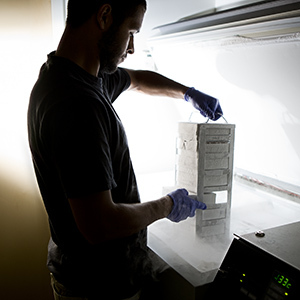 The UTDC oversees all technology transfer and commercialization efforts throughout the University of Nebraska system. More recently, Dr. Linder returned to UNeMed as the keynote speaker of the 2017 Research Innovation Awards Banquet. In this episode, Overground hosts Joe Runge, Tyler Scherr and Charlie Litton, discuss what startups learn in failure, and that often the best trait in an entrepreneur is the experience of having tried and failed. The crew also talk about UNeTech, the University of Nebraska’s incubator and accelerator program. 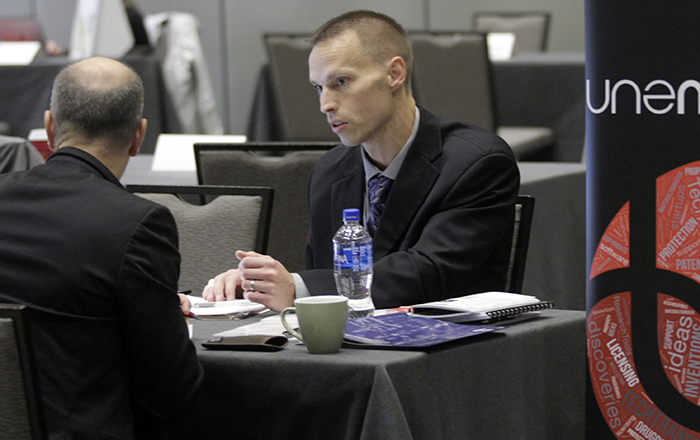 Matt Boehm, UNeMed’s Director of Licensing, meets with an industry representative during a partnering session at the MidWest Drug Development Conference in October 2018. Boehm also organized the event. 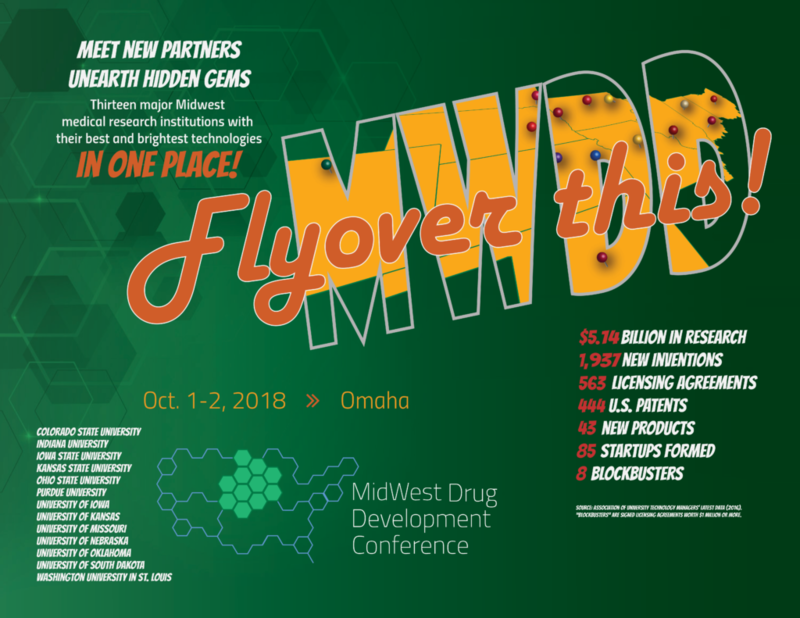 OMAHA, Nebraska (December 11, 2018)—The final results are in, and the inaugural MidWest Drug Development Conference was an unqualified success, UNeMed announced today. Dixon added that he received positive feedback at every turn during the conference, which was held on October 1-2 at the Capital District Marriott in downtown Omaha. 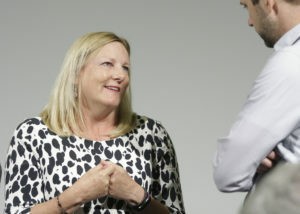 Even weeks later, at other national and regional events, Dixon reported feedback from other university and industry representatives. The conference pulled together a dozen Midwestern universities, which represented more than $4.6 billion in research expenditures and 1,787 new inventions in 2016, according to the most recent data available. Those 12 universities presented 41 new, drug-related technologies in short, 10-minutes packages. The audience was a collection of pharmaceutical executives, venture capital groups and other potential partners who could help further develop those new technologies. The participating universities included Colorado State, Iowa, Iowa State, Kansas, Kansas State, Missouri, Nebraska, Ohio State, Oklahoma, Purdue, South Dakota, and Washington University in St. Louis. 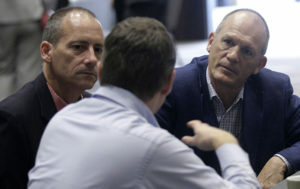 All told, 113 people attended the two-day conference, including representatives from 24 companies and investment groups. 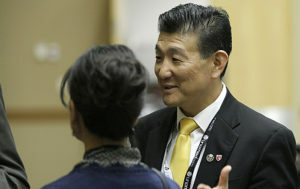 About 146 one-on-one partnering meetings were scheduled, including 15 with UNMC and UNO representatives alone. A post-event survey yielded glowing reviews. 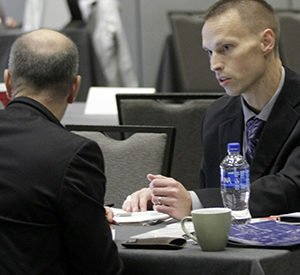 For UNeMed, the conference yielded 27 new opportunities for UNMC technologies, including 33 new contacts and 13 new company and investment groups. OMAHA, Neb. (November 28, 2018)—Matt Boehm, Ph.D., will lead UNeMed’s licensing team, officials announced today. Boehm, a product of Lincoln, was named Vice President and Director of Licensing at UNeMed, filling the role previously held by Steve Schreiner, Ph.D.
Boehm now oversees the marketing and licensing team, in addition to his duties commercializing therapeutic innovations and new medical device inventions. He handles the evaluation of new inventions, technology marketing, formation of industrial collaborations and partnerships and license agreement negotiations. He takes over just as UNeMed saw a record number of new inventions. UNeMed, which serves inventors at UNMC and UNO, reported 111 new inventions in the fiscal year ending in 2018. It’s the most in UNeMed’s 27-year history. The previous record was 106 disclosures back in 2012. Last year, the licensing team also secured 21 patents for University of Nebraska inventions. 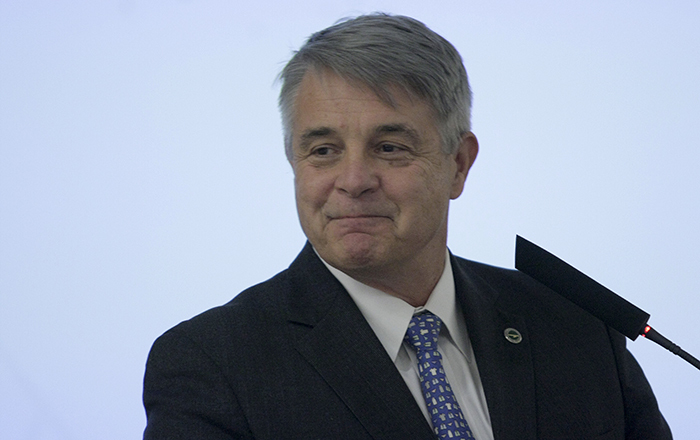 Of those, Boehm and his team produced 15 licenses with industrial partners—a remarkable 71 percent that’s well above technology transfer industry standards. 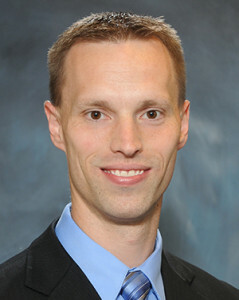 Boehm first joined UNeMed in 2008 as an intern while completing his doctoral work in cancer biology at the University of Nebraska Medical Center. After completing his dissertation, he continued at UNeMed as a licensing associate in UNeMed’s post-doctorate fellowship program. He eventually moved up to Licensing Manger before accepting his current position. In this episode, Overground hosts Joe Runge, Tyler Scherr and Charlie Litton, discuss the “icky” issues of gene patents and personalized medicine. The crew also find a way to bring Michael Crichton into the mix. 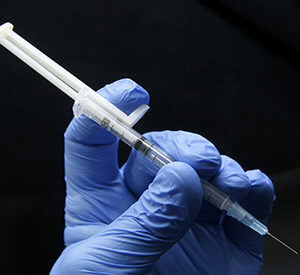 The episode also featured a new blood test that screens for the kind of unstable coronary artery disease that can lead to a sudden (and often lethal) heart attacks.